Hey everyone, Chucky here! Now I’ll admit it – I’ve never been the biggest fan of farming, I’m more a war kind of guy but recently (since the update) I’ve noticed how much easier farming is high up in Titan League. For as long as I can remember, Clash of Clans has had its best farming down in Gold and Crystal League. Until now. I always aim for at least 2 stars. Why? Well for two reasons. Firstly, I want to make sure I get the bonus at the end of each attack. In Titan 2 that is around 300,000 of each resource and 2,000 DE. Secondly, I want to make sure I always reach my daily star bonus – this shouldn’t be too tough, but if you don’t have much time for farming, those 2 star attacks will help you get there. I always try and attack bases with 2k+ Dark Elixir. The reason for this is very simple – I’m using a proper war army that costs around 3600 dark elixir in total. In order to make good DE, you want to be getting at least 2k plus the 2k bonus, everything else on top of that is profit. You can see from these 3 attacks I will have made around 7k DE – not mind blowing but good if you take into account the other resources as well. So why don’t I use a less DE heavy army? You absolutely can do, I’d recommend valks for that but in this situation I’ve found I enjoy using this compilation to attack and don’t mind spending a bit more DE seeing as I’m still always making profit. The final bonus is that you can attack any base. Because you’re using a strong army, it doesn’t matter if the base is fully maxed or not because you should still be able to do the 2 star attack. So what are the benefits of Titan League? It’s high enough that the loot bonus is still excellent. You are receiving 300k gold and elixir and 2060 DE. People up here tend to have pretty good resources, including dark elixir – either they are maxed already in which case they have a lot of resources as they aren’t spending any or they are saving for things like high level heroes – so on the whole you find bases filled with good loot, especially dark elixir. Practice – this won’t matter for everyone, but as I like warring, it’s a good place to practice against pretty decent bases with whatever army composition you are using. It means I can go into war having done 20-30 attacks using any single composition and feel pretty comfortable about it. 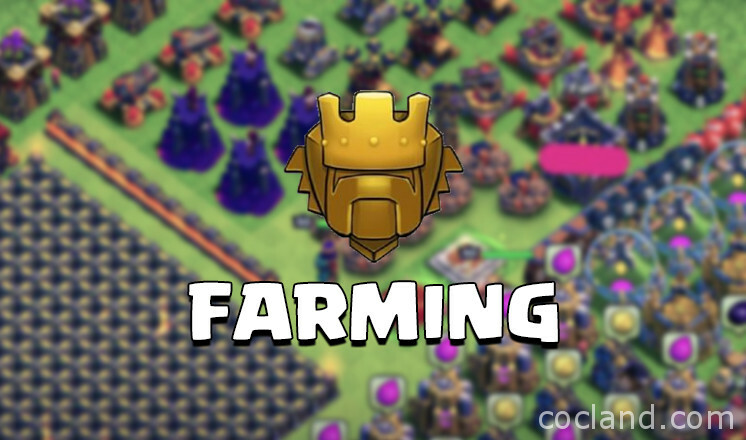 Since the last update, things have changed a lot in farming and they specifically benefit those attacking higher up in the league tables. Having two armies ready to go at one time means we can get maximum output – all we end up waiting for is our heroes to heal if they were taken down. Don’t get me wrong – this isn’t like farming in Gold League where you can attack every 5/10 minutes, this is slightly more lazy farming where you take more time between attacks (however long it takes your heroes to heal and is great for the office place / school). The only down side is you need to spend to win as the bases will be difficult and you’re ideally looking for 2 stars. 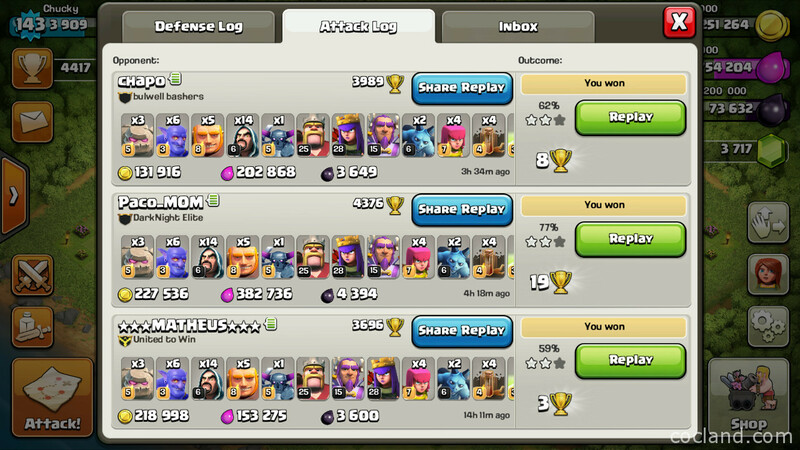 As long as you can calculate decent profit with each attack it’s very easy to get pretty decent loot. If you enjoyed this guide, please do Subscribe to Chucky – all support is hugely appreciated!